A high school senior in New Jersey has died, apparently as a result of injuries suffered in a football game on September 25, the Associated Press reports. 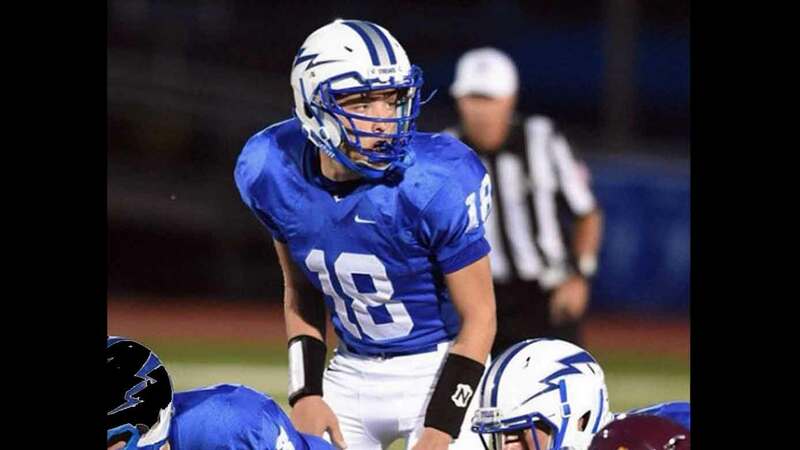 Evan Murray, 17, was the star quarterback at Warren Hills Regional High School, where he had started in the position for three years. Late in the second quarter of the game Friday night against Summit High School, he was hit in the backfield and reportedly walked off the field under his own power. Shortly thereafter, he collapsed and was removed from the field on a gurney. He was taken by ambulance to Morristown Medical Center, where he was treated and died, a spokeswoman for the hospital was quoted as saying. The Lehigh Valley Express-Times reported that an autopsy would be performed, but no details about the exact cause of death have been released at this time. In addition to football, Evan also played baseball and basketball. And although he may have listed the person he admired most as “Peter Parker,” other athletes and students at Warren Hills really looked up to him. A GoFundMe account has been established for Evan’s family, and school officials at Warren Hills expressed condolences to them and pride in the students at the school.